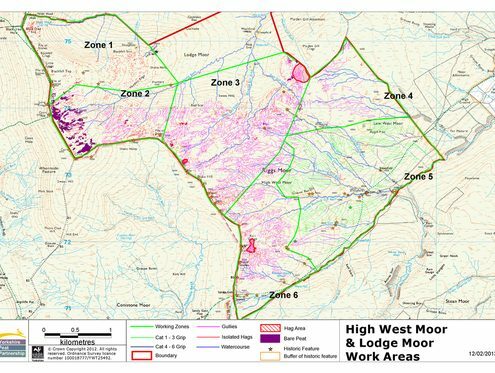 High West Moor and Lodge Moor are situated within the parish of Upper Nidderdale in the Borough of Harrogate covering an area of approximately 1423ha. 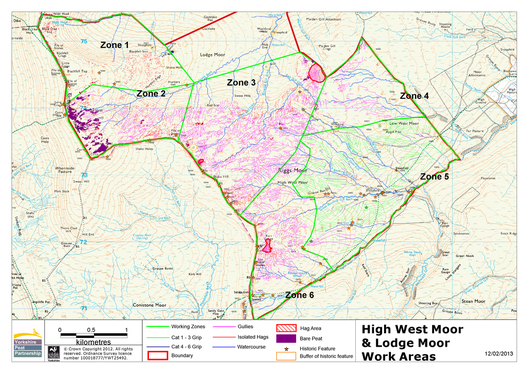 The Moors have been managed for grouse moor over several generations through a programme of burning. There has been extensive grazing on the land although the sheep on Lodge Moor are only turned out during the summer period. High West Moor was gripped to increase drainage and this has led to significant erosion of existing water courses and the development of new gullies. 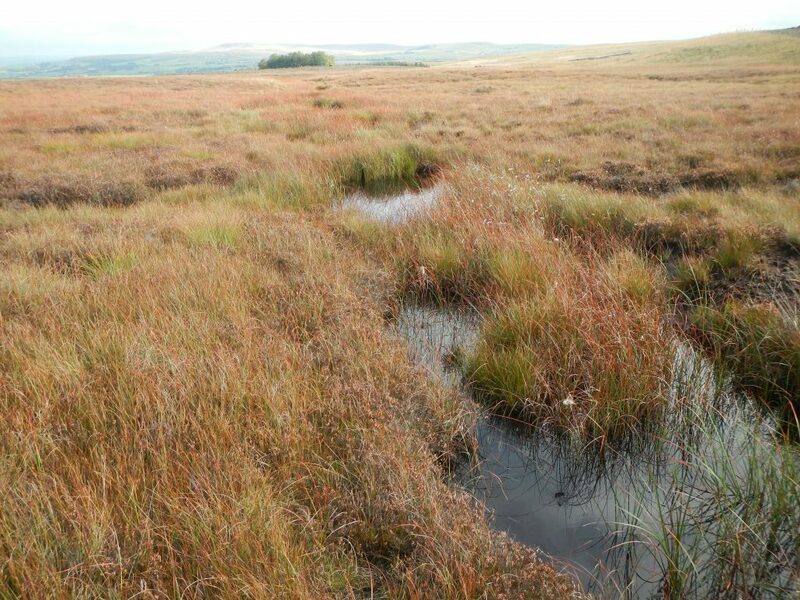 On the summit of Lodge Moor, the majority of the peat had been eroded away by the elements however pockets do remain either as bare peat or stabilised with vegetation but with hagged edges. 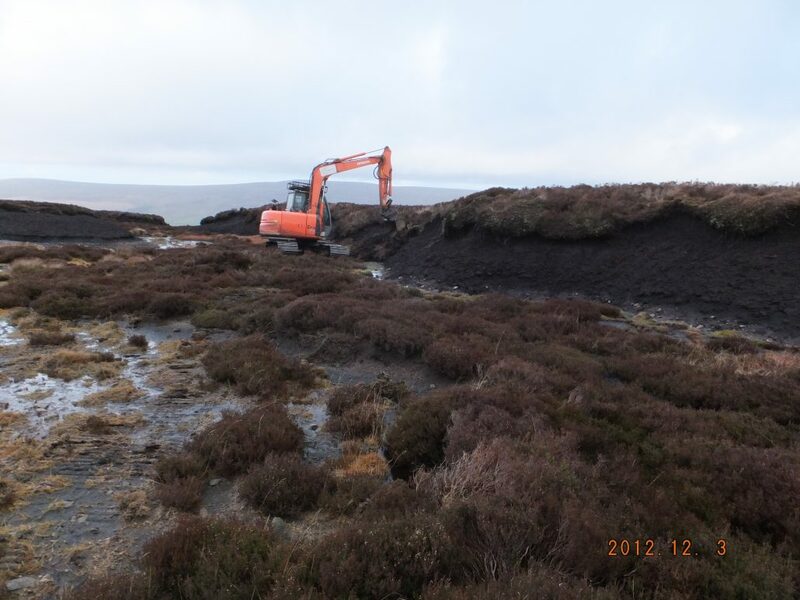 Five members of our specialist moorland restoration team were deployed to undertake the work. The skilled plant operatives implemented the work program using seven tonne ‘bogmaster’ 360 tracked excavators. 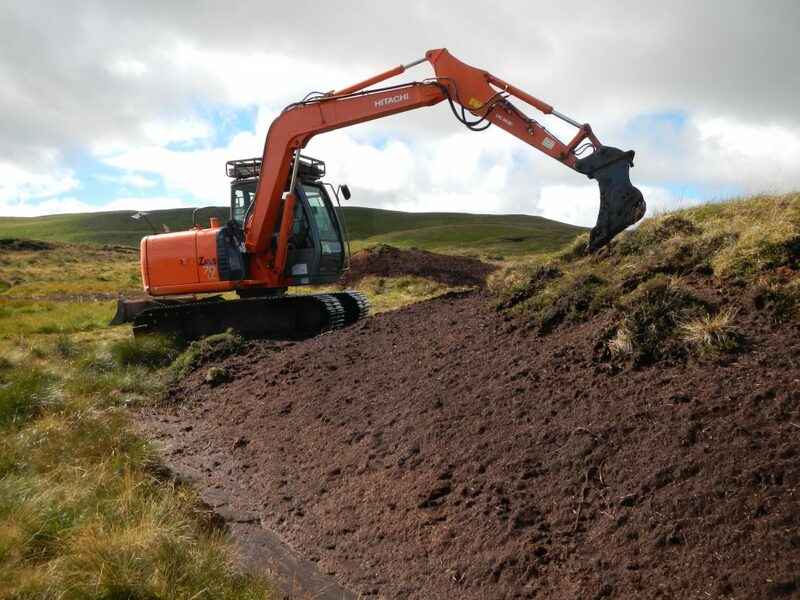 Each machine was fitted with 800mm tracks to minimise the damage to the fragile peat with GiS computer’s continually recording the work during the operation. Grip blocking, gully re-profiling and bunding was completed using this specialist plant and equipment. 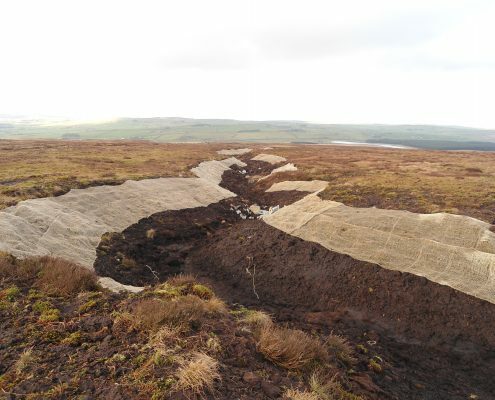 Bare peat areas, re-profiled gullies and hags required the application of heather brash to form a protective layer over the peat. 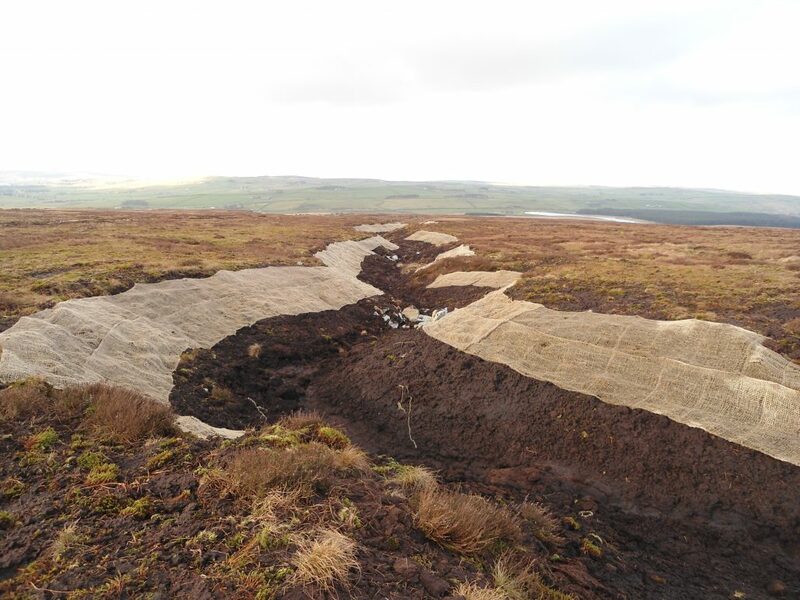 Approximately seven thousand bags of double chopped heather brash were harvested by our tractor and cutter, transported to site by wagons and flown to the target areas by helicopter. 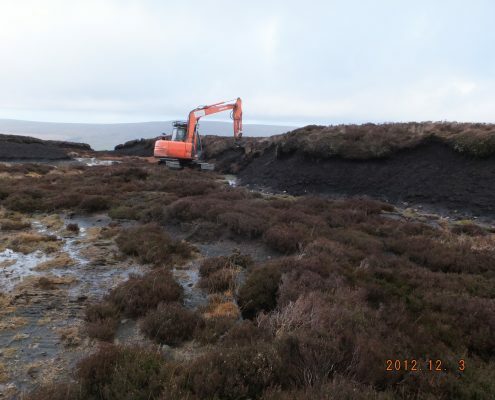 The brash was spread by ten of our moorland restoration team following the Yorkshire Peat Partnerships specification. On completion of the restoration work we installed over four kilometres of new stock proof fencing and levelled and graded the access road which had been used for the duration of the project. 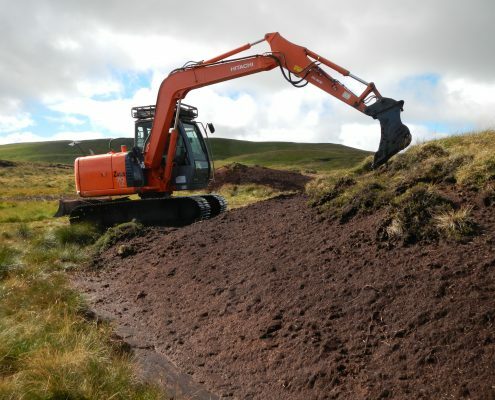 The specialist moorland restoration project was CDM notifiable and our role was Principle Contractor. A safe and secure site compound was established above middlesmoor and utilised daily by our team, client and site visitors. The Yorkshire Peat Partnership has been established to work with landowners and managers to coordinate the restoration of upland peatlands in the Yorkshire Dales National Park, North York Moors National Park, Nidderdale Area of Outstanding Natural Beauty and the Yorkshire south Pennines from the Yorkshire Dales in the north to the River Calder in the south.